Over the past few years, some might say the real estate directory giants Zillow.com and Trulia.com have quietly taken over control of the real estate market in the United States. While this may not be the view everyone has, including ourselves, one thing is for sure: Zillow and Trulia are amongst the most visited websites in the US. Sure it has become far more common for home buyers to find their price first through a site like Zillow and only involve a real estate agent once they are ready to buy. Homeowners are now able to both view and sell houses and rentals online rather than having to go through “MLS listings”, a traditional real estate agent, or Realtor.com. These websites are beginning to completely displace old networks of Realtor and real estate agencies as more and more sellers, buyers, and agents are conducting business through these sites. 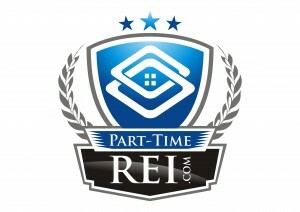 Both market places create the majority of their revenues by selling marketing and premier services to realtors. For most of 2014, Zillow has been a solid performer in the stock market, gaining by more than 80% as compared to Trulia’s 20% gains. It is hard to identify a reason for the disconnect. From an operational standpoint, the two companies are very similar, although Zillow is larger. For example, Zillow ended June with 83 million users, far more than the 53 million that Trulia had at the end of that same month. Examining these metrics from a year-over-year growth perspective, Trulia’s 55% increase outpaced Zillow’s 49% user growth. With that said, Trulia is outperforming Zillow on many different fundamental metrics, mainly revenue growth. Looking ahead to the next two years, Zillow is expected to grow revenue by 57% and 35%, respectively. Meanwhile, Trulia should grow 76% and 32%, respectively, during the same two-year period. At first glance, the two sites appear to be twins. However, they have less in common than it seems. 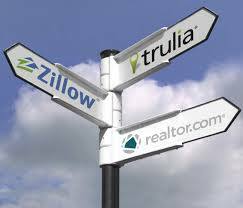 As Zillow is favored by property buyers, Trulia is the BFF of sellers. Interestinly, two-thirds of Zillow’s visitors do not use Trulia. Zillow is widely know for its “Zestimate” of how much a property is worth, while Trulia offers more analytical tools, such as detailed information on local criminal activity. And Trulia is faster-growing. In what it seems as real estate’s first wave of technology firms consolidation, the acquisition of Trulia by competitor Zillow, for $3.5 billion in stock has made headlines. The San Francisco and Seattle companies will remain independent brands, with Trulia‘s CEO reporting to his Zillow counterpart. But they will create a giant capturing 71% of unique visitors to real estate websites. Zillow reported 83 million users for June 2014, and Trulia 54. The logic behind the merger acquisition is simple: while Zillow and Trulia focus on home buying, they are really media companies, not brokerage businesses. As such, they generate revenues through advertising, and need high traffic. 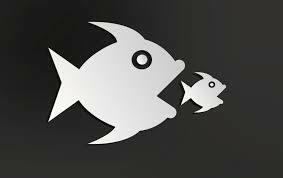 It seems cost-cutting, network effects and pricing power are the financial dynamics behind the merger. Do you use Trulia or Zillow for your investment deals? What do you think of the merger?